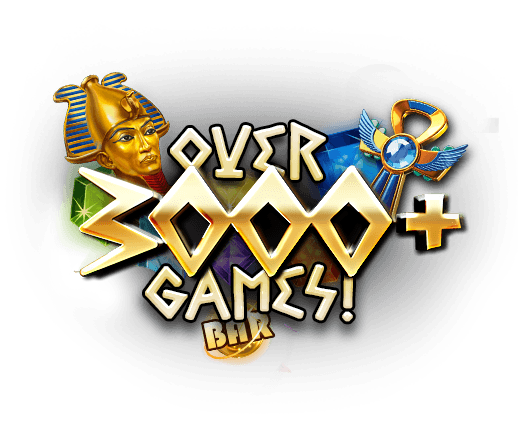 At Cleopatra Casino, we are excited to see you win at our array of top of the line, authentic casino games. 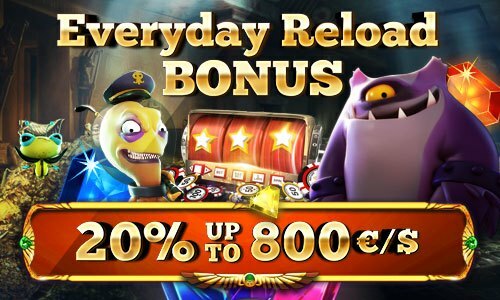 These exciting bonus rewards are designed to help you have the best start in your online gaming experience with us. Make your first deposit today and get started on the road to successful casino gaming. The maximum amount that you can bet while an active bonus is 25$. 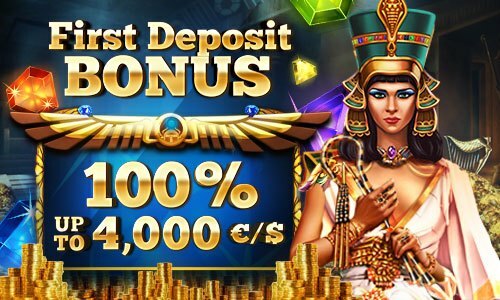 Upon making your first deposit, you will earn a 100% bonus, up to €4,000 or the equivalent amount in your preferred currency. We will match your second deposit with a 50% bonus, up to €2,000 or the equivalent amount in your preferred currency. 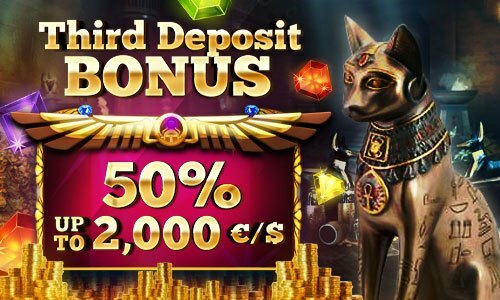 Upon making your third deposit, you will receive a bonus of 50%, up to €2,000 or the equivalent amount in your preferred currency. 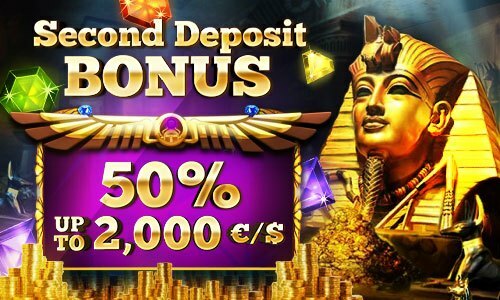 Our exciting bonus rewards don't stop here! Check out the other bonuses we offer below. With a deposit placed between Monday to Thursday, you will receive a 20% reward, up to 800 EUR or the equivalent amount in your preferred currency. 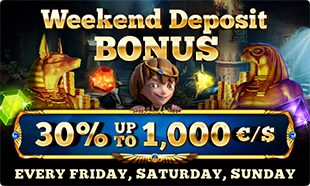 With a deposit placed between Friday to Sunday earns you a 30% deposit bonus, up to 1,000 EUR or the equivalent amount in your preferred currency. Your birthday is special to us too at Cleopatra Casino. 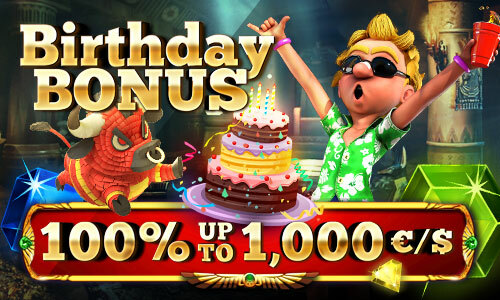 On your special day, you will earn an exclusive 100% birthday bonus up to 1,000 EUR or the equivalent in your preferred currency.